Aluminium sulphate reacts with sodium carbonate, 3 of 3. M solution of aluminium sulphate (Al2(SO4)3) is added to 0.2 M solution of sodium carbonate (Na2CO3). 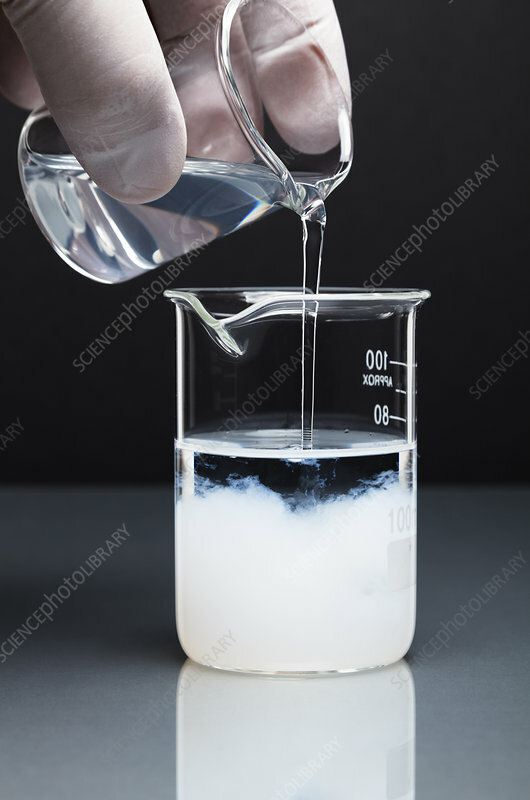 Aluminium hydroxide precipitate (Al(OH)3) and carbon dioxide gas (CO2) are produced as a result: Al2(SO4)3 + Na2CO3 + H2O -> Al(OH)3 + Na2SO4 + CO2.